Zhang, K. (2019). Mainland Chinese Students’ Shifting Perceptions of Chinese-English Code-Mixing in Macao. International Journal of Society, Culture & Language, 7(1), 106-117. Kun Zhang. "Mainland Chinese Students’ Shifting Perceptions of Chinese-English Code-Mixing in Macao". 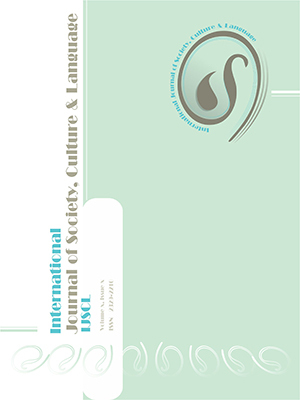 International Journal of Society, Culture & Language, 7, 1, 2019, 106-117. Zhang, K. (2019). 'Mainland Chinese Students’ Shifting Perceptions of Chinese-English Code-Mixing in Macao', International Journal of Society, Culture & Language, 7(1), pp. 106-117. Zhang, K. Mainland Chinese Students’ Shifting Perceptions of Chinese-English Code-Mixing in Macao. International Journal of Society, Culture & Language, 2019; 7(1): 106-117. As a former Portuguese colony, Macao is the only region in China where Cantonese, a variety of Chinese, and English, an international language, are enjoying de facto official statuses, with Putonghua being a quasi-official language and Portuguese being another official language. Recently, with an increasing number of Mainland Chinese students crossing the border to pursue their tertiary studies in Macao, the question as to how they cope with the complex sociolinguistic situation there is of great importance. The present study focuses on how Mainland students perceived Chinese-English code-mixing during their sojourn. It has been found that in the process of their adapting to Macao, the Mainland students’ attitudes towards Chinese-English code-mixing shifted due to the influence of local flexible ideologies about multilingualism. Accordingly, they could strategically resort to Chinese-English code-mixing, a linguistic practice negatively perceived on the Mainland, to socialize with people of different linguistic backgrounds when sojourning in Macao. In this process a flexible cross-border identity was constructed.